Hiiii. I made you cake! Chocolate dragon fruit cake, to be exact. 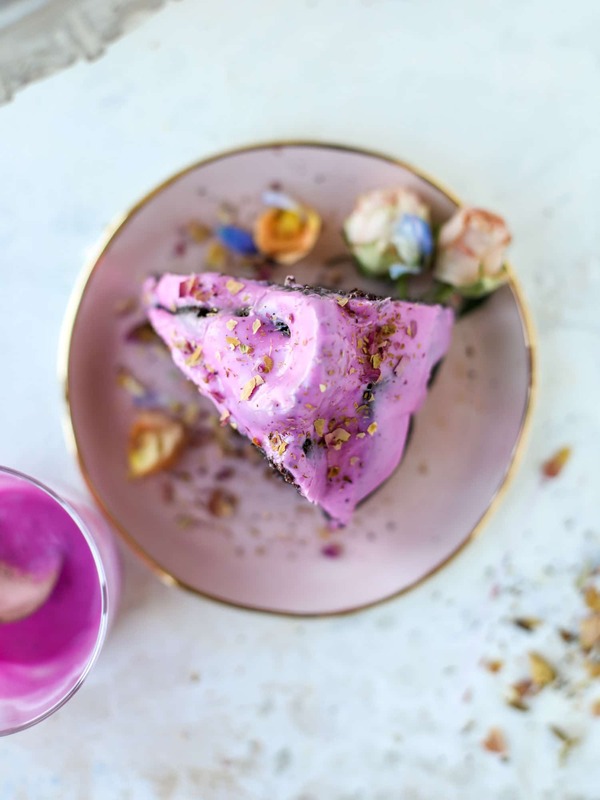 Chocolate dragon fruit cake that is as delicious as it is pretty. I promise you. We can make a neon-glazed cake and eat it too! I have lots of ideas for serving this cake. If I was into Game of Thrones, I’d probably tell you that you could serve it for the premier, considering it’s chocolate DRAGONfruit cake. Which instantly proves to you that I know nothing about GoT. All of my apologies. But I did walk near the red carpet press event in NYC the other day which should give me some GoT clout? SO. This picture above would be pink pitaya powder. !!!! Cue all the exclamation points. Otherwise known as, my new favorite ingredient. Are you even surprised? Let’s talk about this GORGEOUS pan. It’s a magnolia bundt pan and the minute I saw it, I had to have it. Order it instantly. I love some of the other fancy bundt pans that I have and this looked like it would be so pretty. Really, I thought it would be great for some sort of Easter cake. It would be even more stunning in a lighter shade of cake. Okay, so the pitaya powder!! I just about died when I found this too. So super excited. I love to make pitaya bowls (my favorite version is in The Pretty Dish!!) and it’s no secret that it’s probably because of… the color. But this hot pink makes me want to consume everything. It’s just so pretty! You also get a peek here at how blue the lighting can be as it comes through my kitchen window. I didn’t want to do a lot of color correcting on these photos because I wanted you to see just how brilliant this color is. Just cannot get enough. I mostly use this pitaya powder for smoothies, but it’s also fun to stir into yogurt! And chia pudding… just wait for that recipe. It’s so good for breakfasts and snacks. But I knew that a glaze or frosting using the powder would be stunning. And I was craving dark chocolate cake. It’s rare that we see dark chocolate cake make an appearance for spring, you know? I figured this was the perfect way. The dark chocolate cake itself is not too sweet. It has a very deep chocolate-y flavor and while the pitaya is subtle (especially mixed into a sugary glaze), it makes for a great topping. I crushed a few edible culinary rose petals on top for something extra – a little more seasonal, if you will. To say that I am so ready for this sunshine… would be an understatement. I’d also be lying if I said I didn’t want to cover this cake in a dark chocolate ganache! I bet it would be a show stopper – this glossy, shiny big magnolia cake. Might just be my weekend project. Or yours? Please try it and report back! The prettiest dark chocolate dragonfruit cake! This is a rich dark chocolate bundt cake drizzled with vibrant dragonfruit glaze. Preheat the oven to 350 degrees F. Butter and flour and 10-cup bundt cake pan. Place the coffee, cocoa and espresso powder in a saucepan and heat over medium heat. Bring the mixture to a boil, whisking often, and then set it aside and let it come to room temperature. In the bowl of your stand mixer, beat the sugar, salt, baking soda and eggs together with the whisk attachment until combined. Add in the buttermilk and oil and beat for another 1 to 2 minutes, scraping the sides or the bottom if needed. Add the flour and beat on medium speed for 2 minutes. Beat in the cooled coffee cocoa mixture and beat for another 3 minutes. Pour the batter into the bundt pan. Bake for 60 minutes, or until the cake is set and a toothpick inserted into the cake comes out clean. Remove and let cool completely. Once cool, turn the cake out onto a plate or cutting board and drizzle the dragonfruit glaze on top. If desired, you can crush some culinary rose petals on too! Whisk all the ingredients together until a smooth glaze forms. Pour it over the cake once it has cooled. If I had to have a signature cake, this would be it. 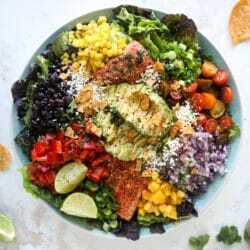 This is the prettiest thing you have ever made! I gasped when I saw it. LOVE! This looks amazing! I now know what I’m making for Easter dessert! I couldn’t be more obsessed with this post! I am 100% buying this pan and making everything this color. Love it all, thank you so much for sharing! What a beautiful cake! Perhaps I’ll attend for Mother’s Day. I want to do a face plant into this. The prettiest cake ever! Off to buy that pan so I can make one too. I love that shot with the slice standing up! Ready to take a bite over here. A seriously stunning cake; oh and the only thing I know about Game of Thrones is the main family last name (you should know why I care about it, since you know me personally, haha). Would someone PLEASE turn this into a gluten free cake???? I haven’t made *this* one GF *yet* but I have tried almost every cake Jessica has ever posted with GF flour and they pretty much always work. GF cakes are easy! Just be sure to add 1/2 tsp of xantham gum for approximately every cup of gf flour you use (unless the gf flour already has it). So easy and so good. Don’t be afraid to just.go.make.it! What a good tip. Thanks! 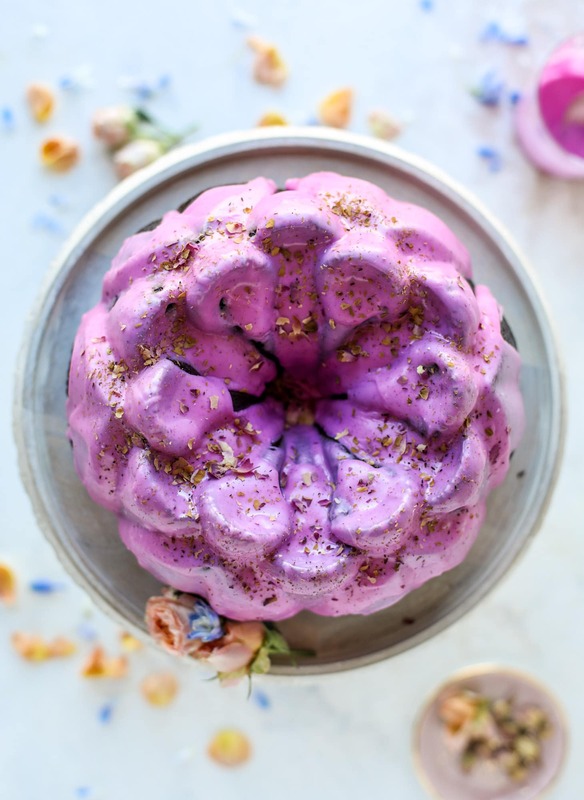 Could I use frozen dragonfruit instead of powder? I’ve been looking and I can’t seem find powder in stores. i would not suggest using the frozen – it’s the dried powder that mixes into the glaze to make it, well, glaze-like! are you able to order off of amazon? that is where i find mine. i have not found this in stores yet either! Ahh, I just didn’t want to wait for it to ship! Thanks! Looking forward to making this! What kind of coffee and espresso did you use? I have a Nespresso machine, would that work too? yes! i use my nespresso machine for the coffee, then i use an espresso powder from delallo foods. but you should be able to find an espresso powder in the baking section of a grocery store or speciality store! This is RIDIC stunning. Dead.